How Wildfires Affect Your Water Quality - Brelje & Race Labs, Inc.
Wildfires are a fact of life in California, and the typical mid-summer to early fall wildfire season has been expanding in recent years. Indeed, one of California’s worst fires of 2018 didn’t begin until November. Given that they are not apt to disappear anytime soon, it is important to know how wildfires affect your water quality. It isn’t the fire alone that can potentially cause changes or problems with the water quality. 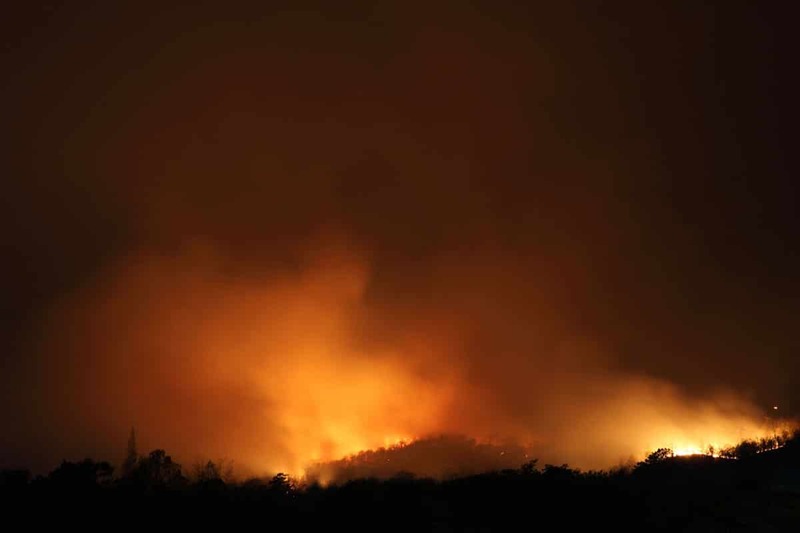 Often it is the combined effect of wildfires, urban environments, chemicals used to contain and eliminate the fire, and the weather conditions that follow the blaze. The extent to which your water quality is affected is determined by all of these things and the effects vary largely based on the severity of the wildfire and the temperatures it reached while it burned. Additionally, wildfires move. They cannot always be contained quickly, so they reach urban areas and consume things like cars, electronics, and other man-made products that may release a variety of chemicals into the water supply. For example, the Tubbs Fire in 2017 burned with such an intensity that it melted plastic water pipes. This then allowed benzene from the plastic resins to contaminate some of the water supply. As wildfires progress, they burn more and more vegetation. This can quickly introduce more sediment and debris into the water supply. Compounding the issue is that when vegetation is burned off, rainwater does not stay in the places where it falls; it can travel rapidly, eroding the landscape and bringing that sediment and debris to places farther away. Burning plants also release nutrients into the soil and water, such as ammonia, phosphate, and nitrate. We encounter these substances in small doses everyday and they are necessary, but in elevated quantities, they can be harmful. There may also be an increase in the amount of fire retardants in the water supply following a wildfire. We have regulations in place for how close fire retardants may be used in relation to waterways, but sometimes the chemicals still find their way into the water supply. The effect on water quality is usually short-term and may be indicated by a slight cloudiness in your water. Following a fire, the most common changes to your water will be changes in smell, taste, and/or color. Long-term effects of wildfires on water quality are more difficult to predict. We have seen in the past an increase in algal blooms in water reservoirs, which are caused by the introduction of nutrients from burned materials into the water. Algal blooms may have health consequences and create changes in taste or smell of the water. Elevated turbidity (cloudiness) is a potential long-term aftereffect of wildfires, too. If you are concerned about the quality of your water following a wildfire, we offer testing applications for homeowners, wineries/breweries, and more. Contact Brelje and Race to learn more.